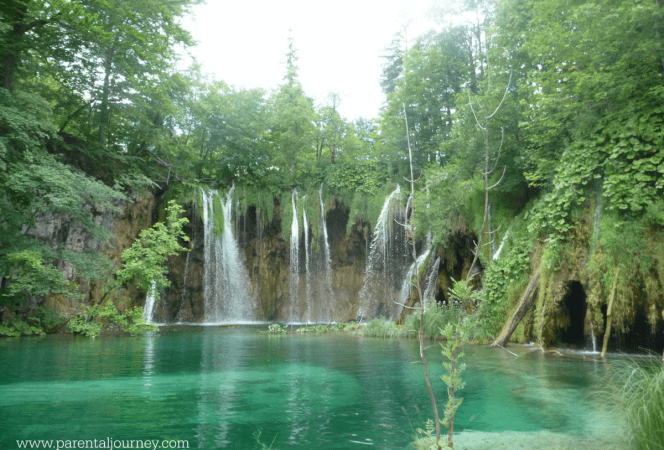 The south of France is known for its spectacular scenery and it is difficult to know where to begin, but we’ve put together ten beautiful places to visit in Provence. With its rolling fields of lavender, pebbled roads lined with towering plane trees, and picturesque villages, it amazes me it isn’t completely overrun with tourists. Your senses will be on overload from the diversity of scenery, from the azure blue of the Mediterranean to the rust colored hills of Roussillon. It’s easy to understand why artisans have made the pilgrimage to Provence through the centuries to seek inspiration from this landscape. There are many villages, sights, and attractions to see, but here are the best places to visit in the south of France. When the Popes left Rome in the 14th century due to corruption, they needed a new seat for the Papacy, so they built the Palais des Papes. Boy, they sure knew how to make a statement. The Avignon papacy only spanned 76 years, but their architecture is everlasting. 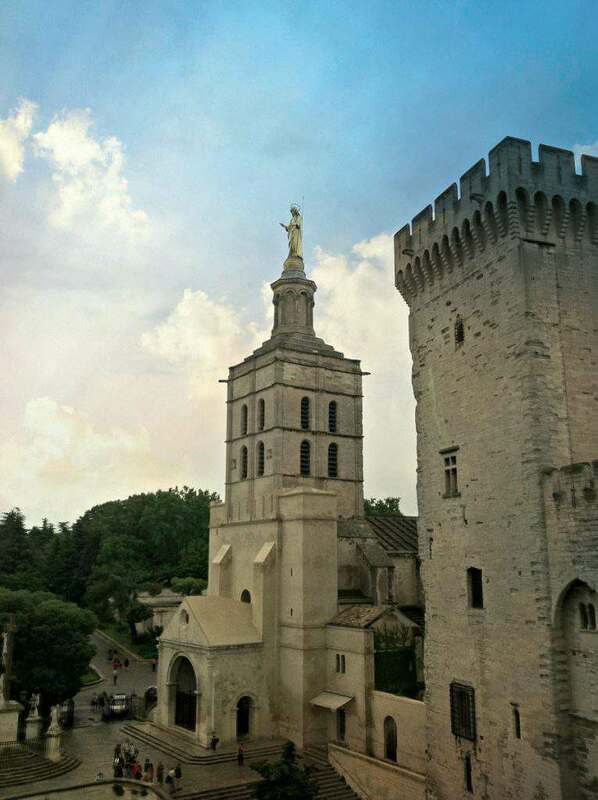 During a visit here you can tour the massive medieval palace, see the bridge to nowhere (aka Pont d Avignon, where you need to hold onto your children because it feels like they could fall in the river), ride a carousel, or stroll in the lush gardens of Rocher de Doms. If you are staying at a hotel in Avignon, be sure to catch the light show in front of the palace (Les Luminessences). 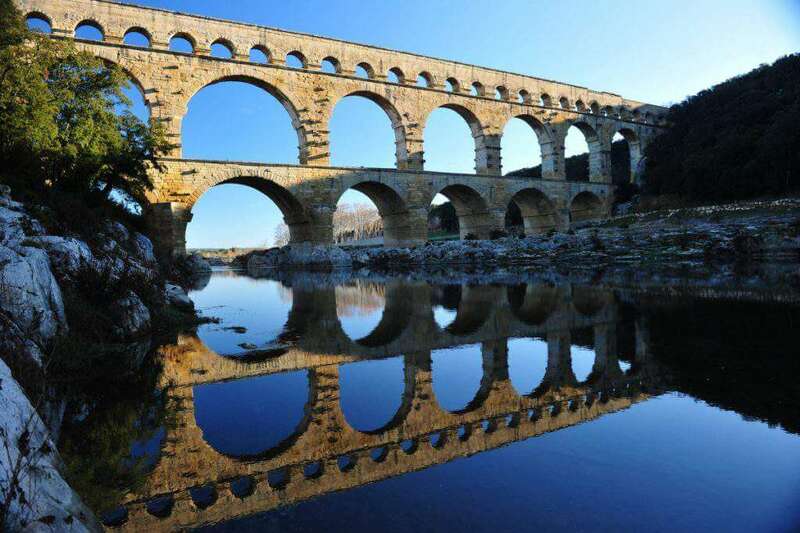 This massive aqueduct built by ancient Romans has spanned the Gard river for over 2000 years. One must see it first hand to appreciate the engineering feat the builders were able to accomplish. 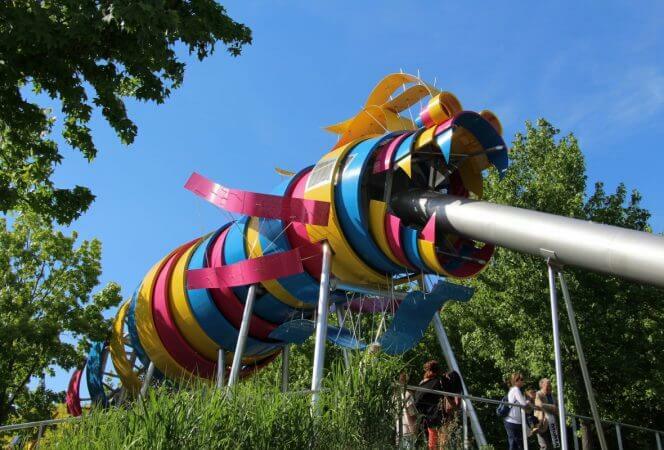 There is a very informative museum with hands-on activities for kids and a detailed history of the Pont du Gard aqueduct and surrounding area. From the museum, it is quite a long walk to the aqueduct, so if you have mobility issues I believe they can offer assistance. If you are so inclined, you can also take a tour and kayak down the river beneath the aqueduct. I imagine this is spectacular! One of the main reasons everyone travels to Isle sur la Sorgue is for their market day. Here you will find everything from antiques to fresh fruit, and people will be shoulder to shoulder as they examine the goods. The town is built along the river Sorgue and the canals flowing through the town only add to its charm. 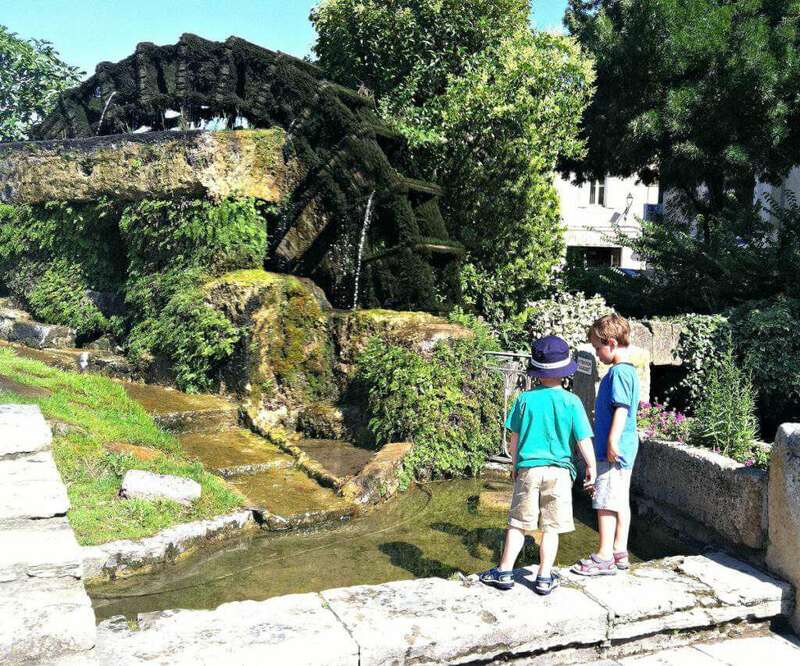 Our kids loved watching the people, meandering over bridges and exploring the old waterwheels along the way. Grab your provisions at the market and find a tranquil spot near the water to enjoy a picnic on a beautiful day. Perched high above the valley on a cliff, Les Baux de Provence is easily in the running for the most beautiful village in Provence. Les Baux is made for wandering, exploring the shops and sampling the local fare. However, the Château des Baux is one of the main reasons you will see tourists trickling in all hours of the day from the car park outside the town. The remains of the fortress and former city of Baux are now a tourist destination featuring medieval horse shows, trebuchet launching, and archery if you’re so inclined. The kids enjoyed scaling the rocks to explore the ruins and even though it was in French, they loved the falconry show. They still talk about it! 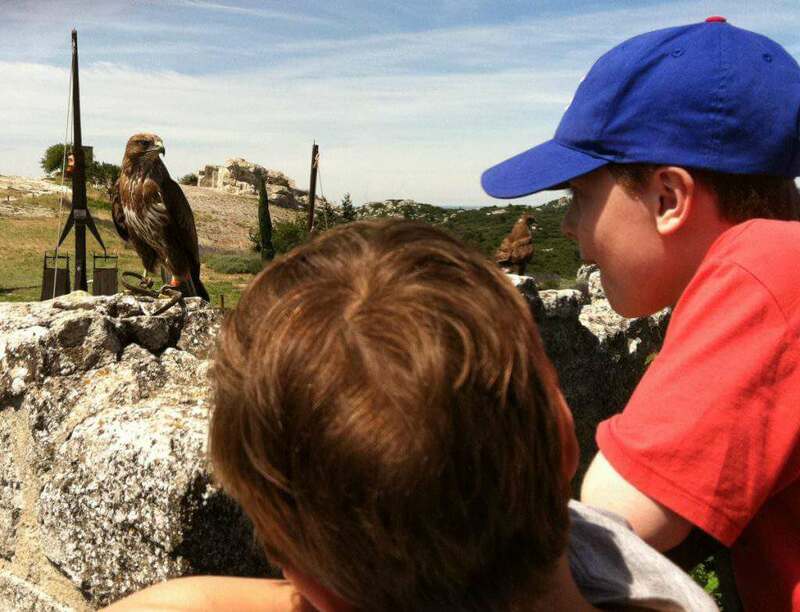 Up close and personal with the birds of prey in Les Baux. St Rémy de Provence is a quintessential Provençal village. There are men playing pétanque (aka bocce ball) outside the town wall, children riding the carousel in the middle of town, local shop keepers engaged in conversation outside their store fronts. There is a famous street market here once a week, the Roman ruins of the Glanum are nearby, and lovers of Van Gogh will enjoy a visit to the hospital where he stayed after cutting off his ear, St. Paul de Mausole. Cafés and squares can be found all over town, so there are plenty of places to stop for a rest, and a bit of ice cream. Upon approach, your mouth drops open to see the stunning village perched atop a cliff. There will be many tour groups stopped along side the road, all of them snapping photos, so you might as well jump out and join them. 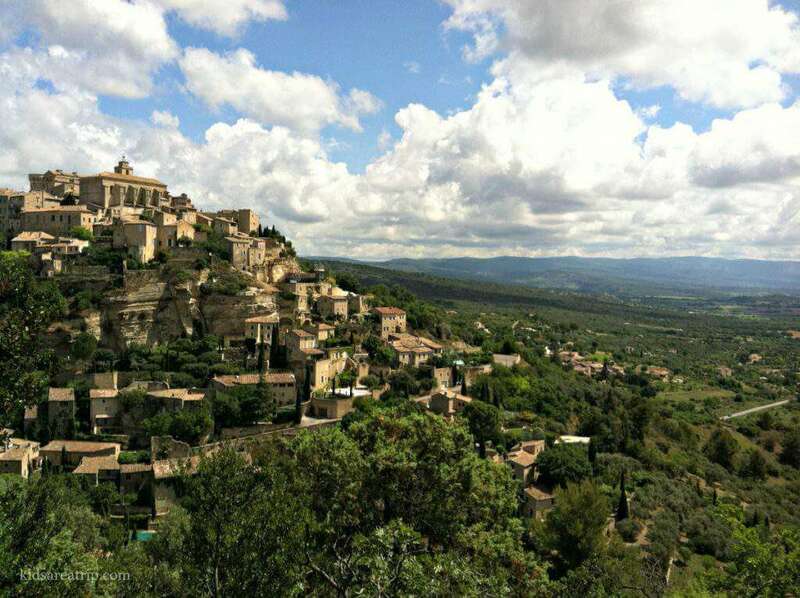 Gordes, France looks straight out of a movie set, and time there is best spent strolling and sampling fresh fruit from the local produce shop or having a picnic and savoring the view. Right down the road is The Village des Bories, a collection of stone houses built without mortar. Our children loved inspecting the houses and seeing how people lived in the 18th century. The structures are fascinating and a visit will last about an hour. Also nearby is the Abbaye de Senanque, a 12th century abbey still home to Cistercian monks. This is the abbey seen in many photographs of Provence with lavender fields reaching out from the building, seeming to go on forever. Technically it is not a tourist site, but you can walk around outside of the building and in the nearby valley. 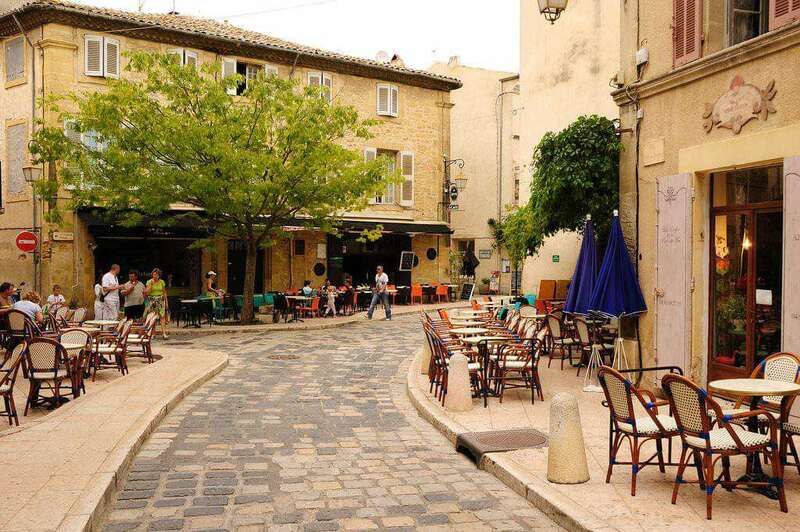 In Lourmarin you will encounter quaint, shaded squares, and winding, narrow streets entwined with inviting cafés that spill out onto the sidewalk. The Château de Lourmarin overlooks the town and was the very first Renaissance castle built in Provence. Various concerts and events are held on the grounds of the chateau drawing many visitors. The property includes a museum, cafe, and a wine bar. There is even a scavenger hunt to occupy the children during your visit. An inviting town to stop and spend an afternoon. The Artles amphiteatre dates back to the first century BC and is the centerpiece of tourism in this town of 50,000. Charming parks, unique squares with playgrounds, and a multitude of Roman ruins can entertain even the most demanding of visitors. Van Gogh found his inspiration in Arles, as have many other artists over the years. Arles, France gives the feeling of small town Provence nestled within a sprawling urban city. Perched a top a hill, set amid the lush evergreen of a pine forest, this ochre village and its buildings are a stunning contrast. 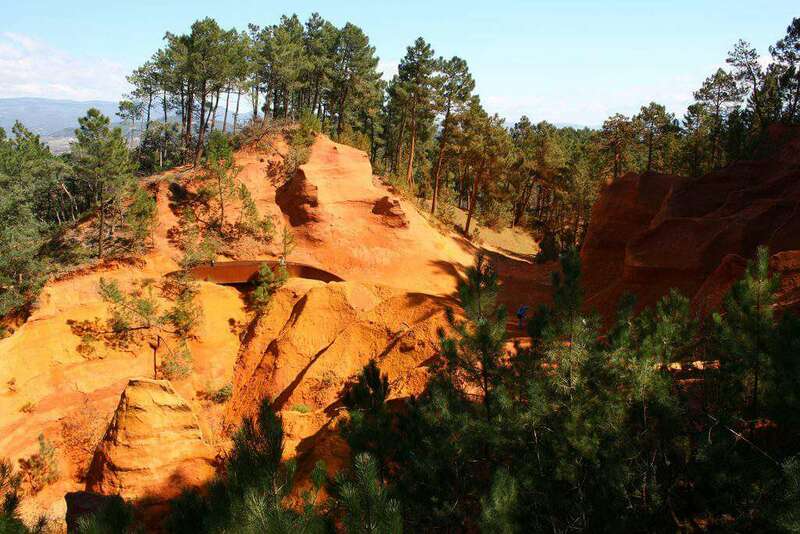 Roussillon, France is famous for its nearby quarries and the buildings in the village are painted in varying shades of rust colored red which complement the natural beauty of the area. The town is small so there is no need for a map. Wander aimlessly and enjoy. There are walking trails nearby, but don’t wear white because you will end up covered in red dust and dirt! 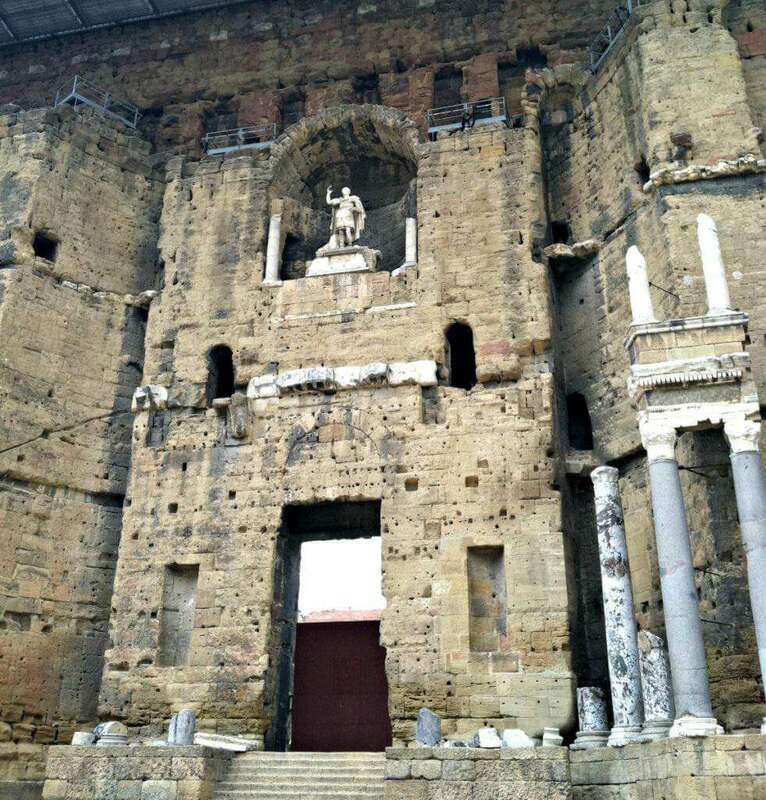 Built in the early years of the first century, the Roman Theater of Orange is an amazing sight to behold. 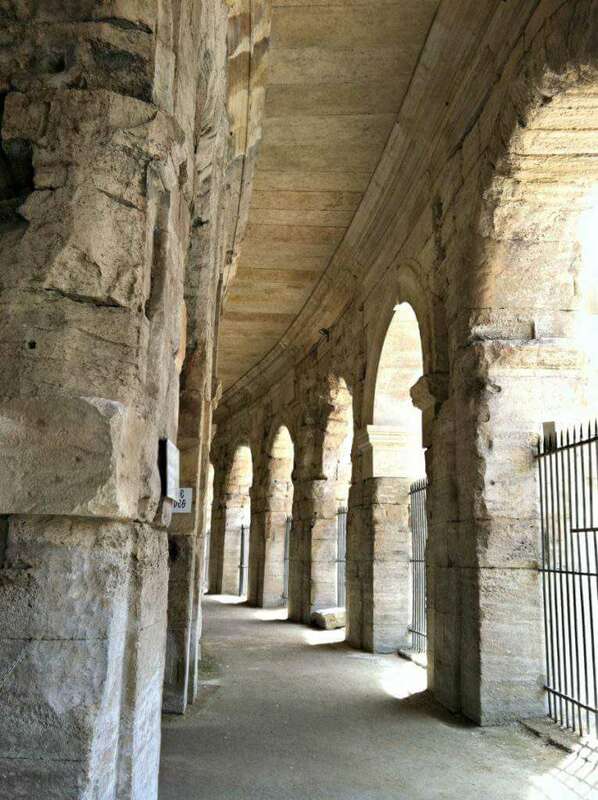 The Théâtre Antique has an enormous stage and seating arena made from beautiful stone. We enjoyed listening to an audio tour while hiking up and down the rows of seats. There are evenings with live performances (plays, concerts) so I would definitely attend one if possible. The town is quite large, and other sights to visit include the Triumphal Arch, Musée Orange (exhibits include artifacts from prehistoric and Roman times) and beautiful churches. 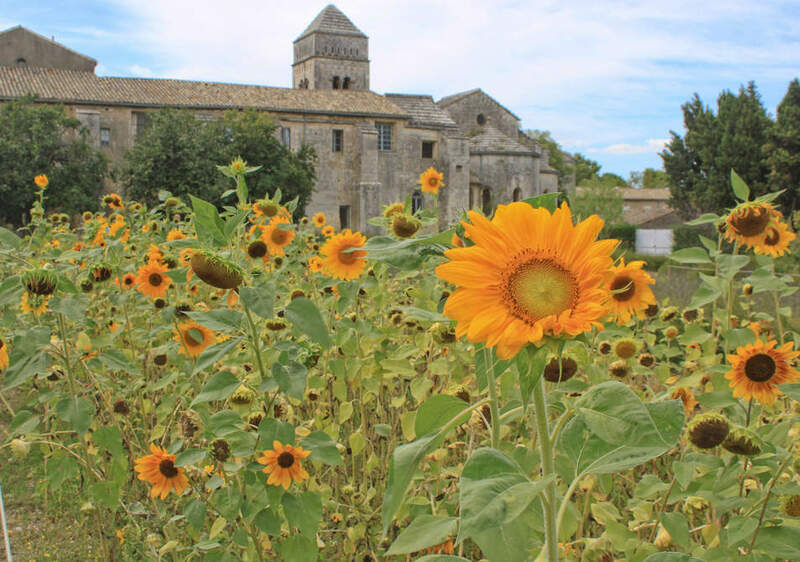 There are so many beautiful villages and attractions to visit in Provence it was hard to narrow down a list of only ten. 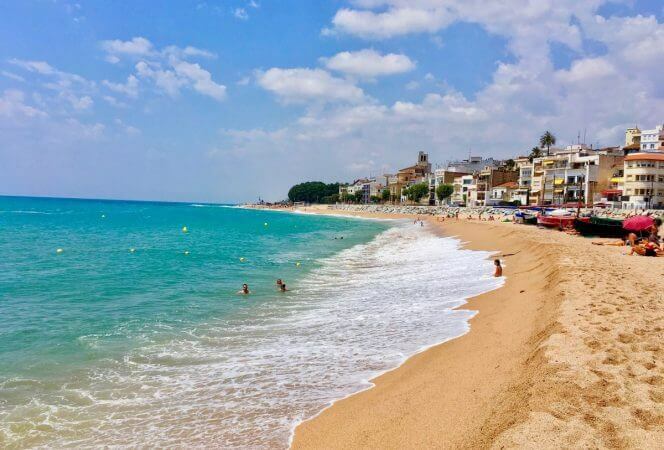 If you’re looking for other articles about France don’t miss Family Friendly Beaches in the French Mediterranean or Best Places to Visit in the Dordogne.